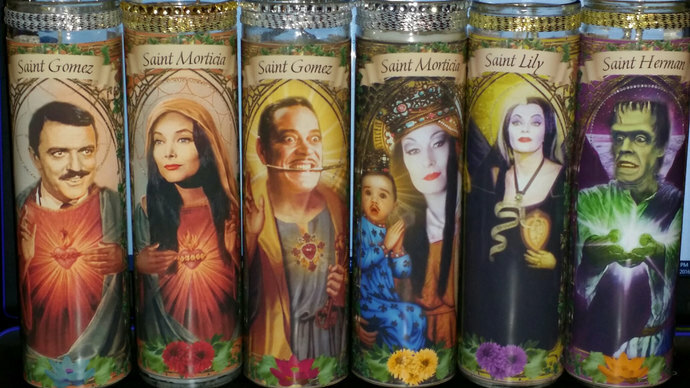 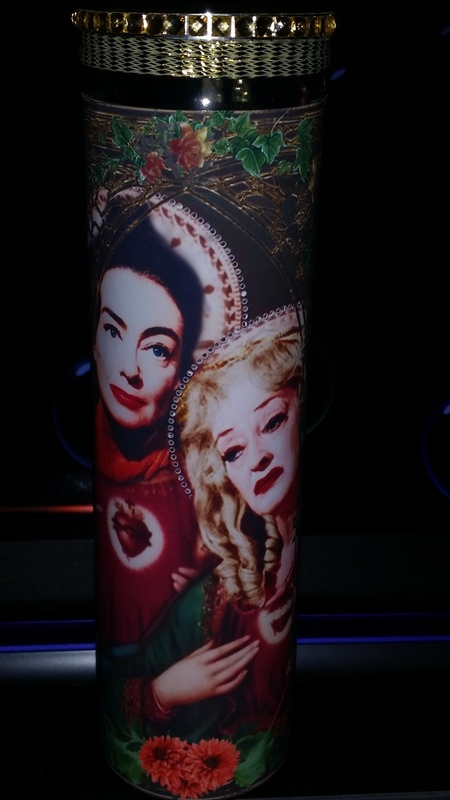 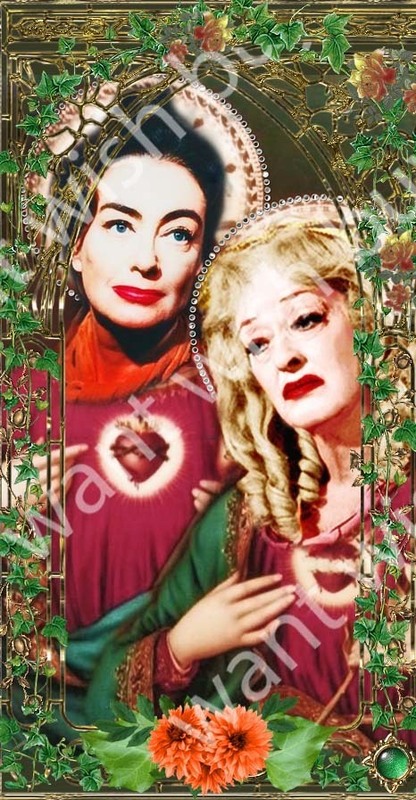 Joan Crawford and Bette Davis are featured in this double candle from t he movie Whatever Happened to Baby Jane - Jane and Blanche. 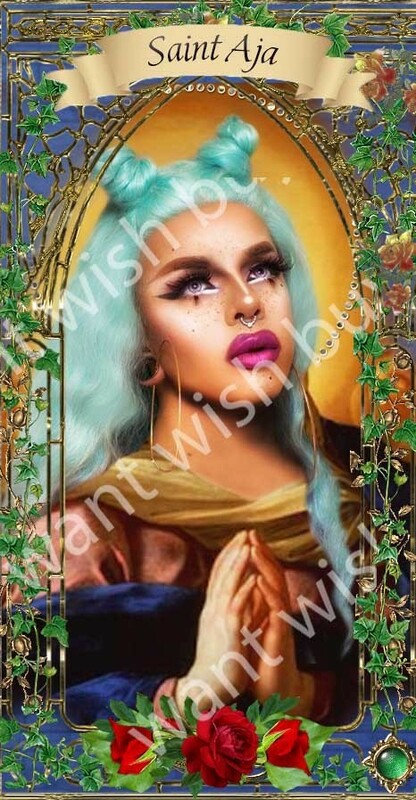 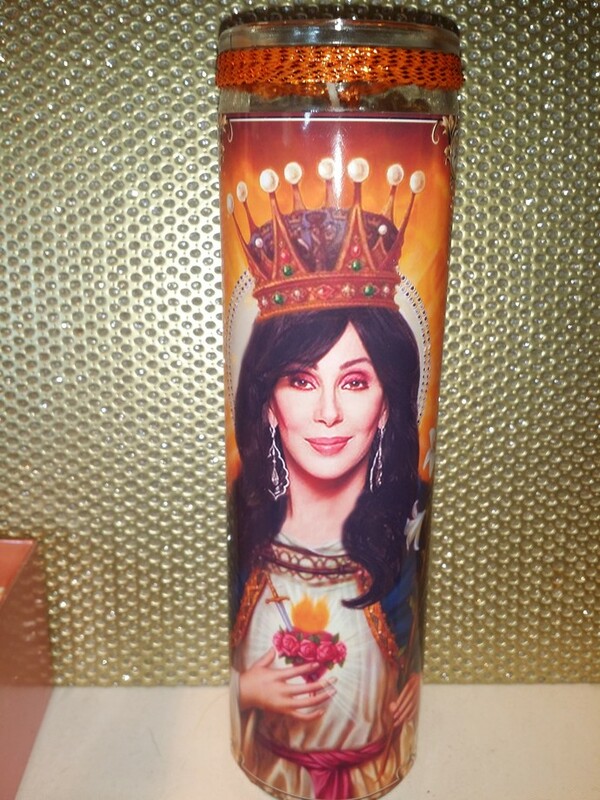 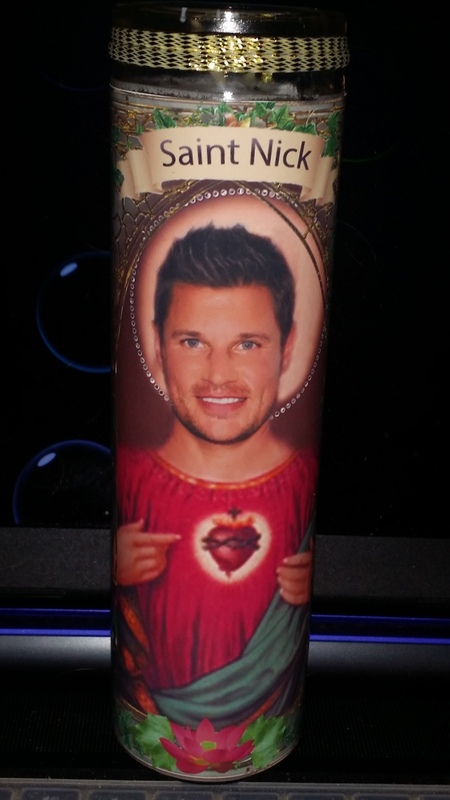 8"Celebrity Prayer Saint Candle in church window frame. 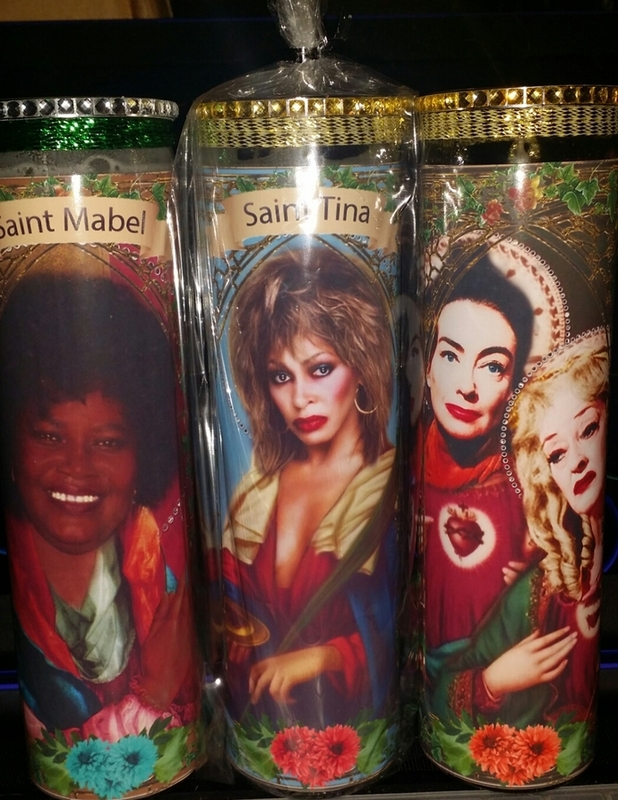 White wax, unscented.